When it comes to assembling your hydraulic system, you may need to mix and match parts from various manufacturers or product lines in order to get the performance you want. Parker hydraulic adapters in Fontana CA make it easy to transition between differently sized inflow and outflow ports. You can even get high-quality push-on adapters to make installing new parts a snap—literally. If you need help selecting the right leak-free adapters to join all the disparate parts of your hydraulic system together, just come ask the pros at Bernell Hydraulics for advice. 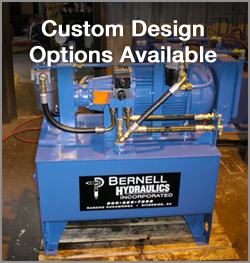 Bernell Hydraulics has been helping customers source all kinds of hydraulic parts since 1977. Our expert staff will go the extra mile to help you find what you need, even if that means calling up Parker to ask for details about various Parker hydraulic adapters in Fontana CA. Our partnership with Parker and our status as an official ParkerStore parts distributor means you can rest assured that the adapters you buy from us will be certified Parker parts. Pick up your adapters in one of our stores, have them shipped to you, or have them delivered and installed right at your jobsite.